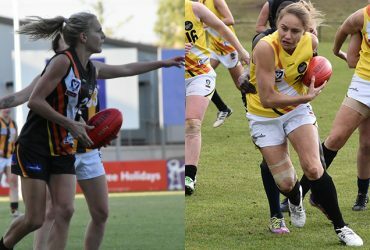 Morgan Johnston and Lauren Motlop are the two latest additions to the VFLW list, with the classy players committing to the club once more. 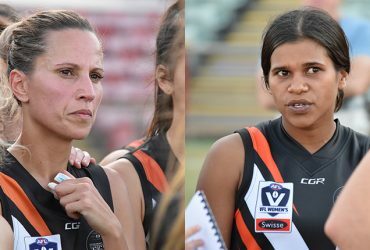 NTFL grand finalists, Sharona Bishop and Tahlia Holtze are the two latest additions to the VFLW list, with the experienced ThunderW duo signing on again. 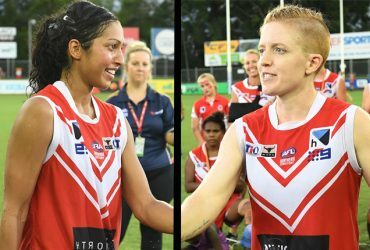 The ThunderW list has added yet more strength to its line-up, signing Waratah premiership teammates Alicia Stanley and former Fremantle AFLW player, Jade de Melo for their first seasons representing the club. 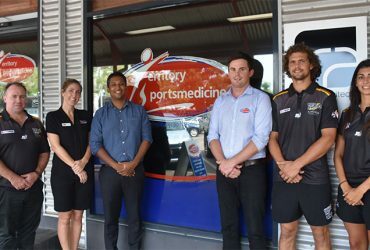 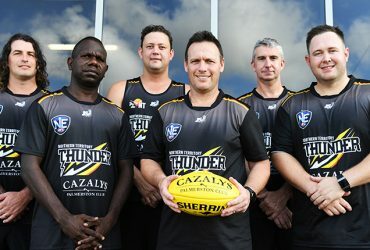 NT Thunder is excited to announce a two-year extension of the partnership with Territory Sportsmedicine. 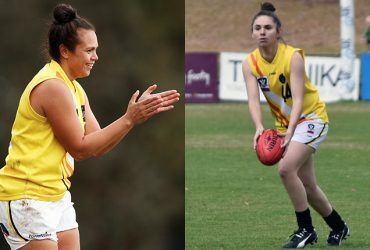 ThunderW list added two more key players this week with Kristy Irvine and Katie Streader re-signing for the 2019 VFLW season. 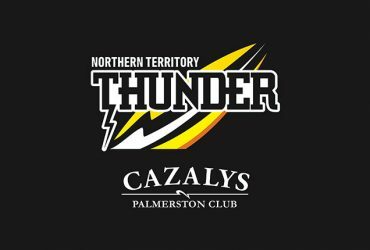 NT Thunder Football Club (NTFC) was informed this morning that player, Thomas Davies was sentenced in Darwin Local Court yesterday after being found guilty of aggravated assault. 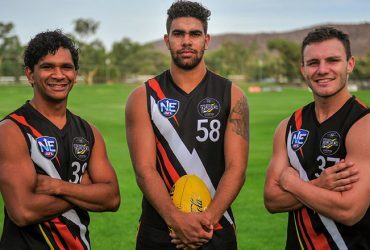 Alice Springs has provided NT Thunder with yet more Territory talent to add to its list with Dylan Barry, Ethan Liddle and Nigel Lockyer joining the NEAFL senior squad. 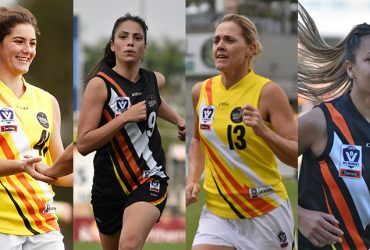 The ThunderW list continues to build with key players and Darwin Buffettes’ stalwarts, Kylie Duggan and Machaelia Roberts the next two players to commit to the club. 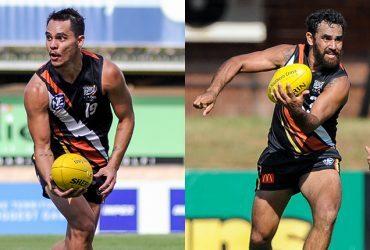 NT Thunder has secured talented Territory duo, Braedon McLean and Richard Tambling after they re-signed for the 2019 NEAFL season. 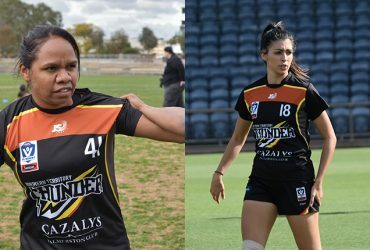 The first four ThunderW players for 2019 are locked in with NTFL captains, Lateesha Jeffrey and Lisa Roberts joining Amy Chittick and Tayla Thorn in donning the NT Thunder jumper once more. 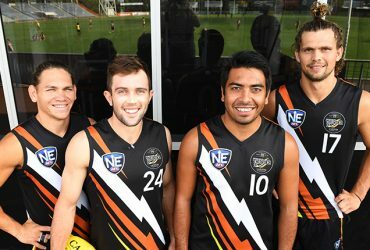 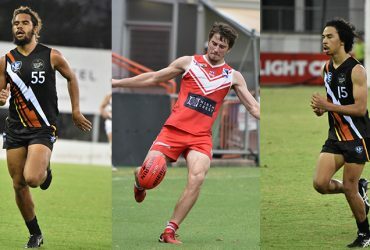 NT Thunder has added more Territory talent to its list by signing Under 18 Academy players, Dominic Forbes, Malcolm Rosas and Joel Stevens to the NEAFL senior squad. 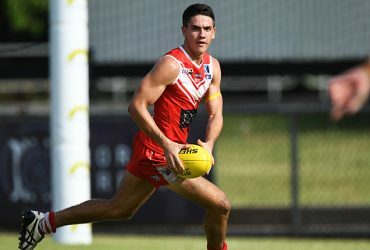 Waratah on-baller Brodie Carroll is the newest addition to NT Thunder, with the 20-year-old signing on for his first year with the NEAFL team in 2019.